When I was a pre-teen I had a small group of close friends. We were still kids but also about to be teens so we spent many a sleepover reading magazines like YM. We would have pizza, watch movies and play board games. I don’t really remember how it happened but at one sleepover we started pretending to be models. We would do each others makeup, mostly borrowed from our moms because we were still too young to be wearing makeup regularly. We would find fun props from the home decor, a pillow here, using a chair in the backyard and silk flowers were always a fun prop! We would take turns being the model and though I didn’t feel comfortable, I loved pretending to be a model. We’d try poses we’d seen in magazine and we’d take turns being the photographer. It was all so much fun! I loved helping “style” my friends in an outfit even using a chip clip to make the mom sized clothing fit our tiny bodies. This was the 90’s afterall and everything was oversized! As a portrait photographer, I’ve been thinking a lot about the years between the years people take professional pictures. One timeframe that I know was missing from my youth was 8-12 years old. I was awkward in both my appearance and socially. The only pictures I have from that time were the annual school pictures and you really only got one take so if that was bad, well that was how it was. These days kids are used to taking more selfies and snapshots but do they have a beautiful picture of themselves that they truly love? Would your pre-teen or teen daughter enjoy a totally fun and unique birthday party with her closest friends? Would she love to treat her friends to an afternoon of hair, makeup and maybe custom themed outfits? Would she love a picture with her closest friends, laughing, smiling and having the best afternoon ever? 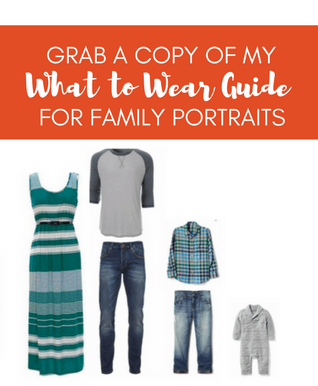 Anna Graf Photography is so excited to offer Portrait Parties! These are so much fun! Book a 2-hour photoshoot for up to 4 for $299. Each girl will receive a 5×7 print of her favorite image from the photoshoot! Add on hair and makeup or even custom themed outfits! Want all the images in an app for your daughter to share with all her besties? We can do that! Want to add friends? Add 2 friends with an extra hour for $100 more. Max 4hr appointment for $499. Email me at hello@annagraf.com and let me know you want to book this truly unique party! Please allow 4-6 weeks in advance for planning. The studio is in NW Portland, easy parking and access. Just a few blocks from Salt & Straw on 23rd. Let’s boost your daughter’s self-esteem during a time in her life she can really use it. Let’s give your daughter a birthday party that ALL her friends will be talking about and the pictures to share just how much fun it is to be a pre-teen or teen girl!